Compass, an intensive business development programme for executives, producers and entrepreneurs, has been launched by Creative England. Compass is designed to help participants to build, manage and lead successful film companies. Creative England’s programme is built around business training by John Bates, professor of strategy and entrepreneurship at the London Business School, with leadership and management training by executive coaches Janet Evans and Steve Turner. DV Talent, training provider for TV, film and creative professionals, is designing and delivering the programme in collaboration with Creative England. 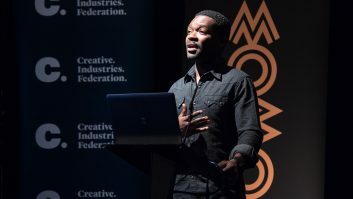 The modular programme will include sector-specific sessions and workshops led by key industry figures and is designed to help businesses develop their ambitions for growth, encourage original thinking and fuse creative and entrepreneurial skills. Compass will run from April to October 2014 and is designed for executives, producers and entrepreneurs who are already leading a film-related business or have committed to doing so before the end of 2014. The deadline for applications is midday on Wednesday 12 March 2014. The total fee for a participant place is £2000.